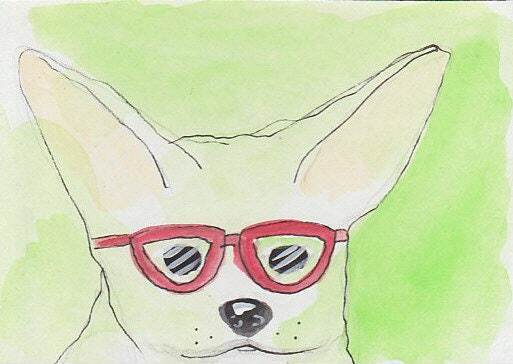 Is there anything cuter than a Chihuahua with red eyeglasses? Done in watercolors and ink in my loose, sketchy, painterly style. Each notecard measures approx 4" x 5" and comes with a white envelope in a cello sleeve. The original is available in my ATC column.